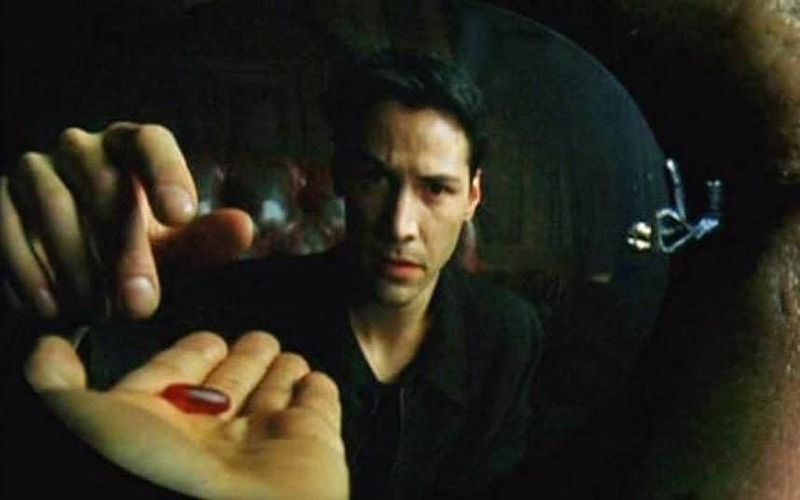 The Red Pill in the Matrix liberates the human mind from the Matrix and grasp the true reality. In philosophy, the red pill is the principle of insufficient reality. In the book, Joyful Cruelty, Clement Rosset addressed the cruelty of reality and the standard evasive strategies philosophers have used to avoid it. Every attempt to minimize the cruelty of truth, or the harshness of the real, has the inescapable consequence of discrediting the most brilliant efforts and the most noble causes. There are two principles at work in this ethic of cruelty: the principle of sufficient reality and the principle of uncertainty. According to the first principle, in which reality does not need any more explanation in terms other than itself, is rejected by most philosophers – with the rare exceptions of thinkers like Lucretius, Spinoza, Nietzsche, and to a certain extent, Leibniz, or nominalist thinkers like Abelard and Occam. Even if reality is entirely known and finally explored, it will never “deliver up the keys to its own comprehension, because it does not itself contain the rules for decoding which would allow us to uncover its nature and meaning.” No matter how infinite and unknowable the real is, it can never “contribute to its own intelligibility.” (JC, p. 91) This forces most philosophers to search for its principle beyond the real to find the secret of the real itself. This is the insufficiency of the real, that reality cannot be taken into account philosophically without recourse to a principle external to reality itself, such as Idea, Spirit, World Soul, etc. While it is true that reality, incapable of explaining itself by itself, is in a certain way forever unintelligible. But to be unintelligible does not mean to be unreal. A friend behaving incomprehensible still exists. Rosset suspects that the difficulty of the real is secondary to its painful character, that the philosophers’ skepticism of the real lies with its cruelty. Philosophers have been, for the most part, healers. They are sympathetic yet ineffectual with their remedies for the human condition. They think we cannot suffer too much truth, so they offer palliatives instead. On the other hand, those philosophers who are actual physicians, are effective but ruthless. Instead of catering to our wishes, they exposed the cruelty of the real – give us more truth, no matter if we cannot withstand such treatment. The second principle is about our inability to withstand uncertainty. For instance, the fanatic is fascinated by the apparent certainty of his or her cause. He or she rejects the cruelty of the real, and tries to locate a cause that one can believe in no matter what. On the other hand, philosophers set forth truths, their most important truth that has stood for centuries to designate and characterize their thought, is at the same time a truth none of them would be in the least disposed to be the guarantor. While this seems exceedingly paradoxical, that a philosopher is least persuaded of the truth of his or her claims, but this is the very nature of philosophical truth. It is also the nature of every truth of every stripe to be doubted. Next Next post: Narcissistic, much?